Creamy Mac ‘N Cheese | Gluten Free, Finally! In a small bowl, combine the ingredients for the topping. Set aside. Add the macaroni , salt and water to a large saucepan. Bring to a boil over medium high heat and cook for 10 minutes until al dente. Remove from heat, stir and cover. Let rest until all the water is absorbed into the pasta. Melt butter in a large saucepan over medium heat. Add the milk and half & half and continue to heat. In a small bowl, add cornstarch and then stir in cold water. (Water must be cold.) 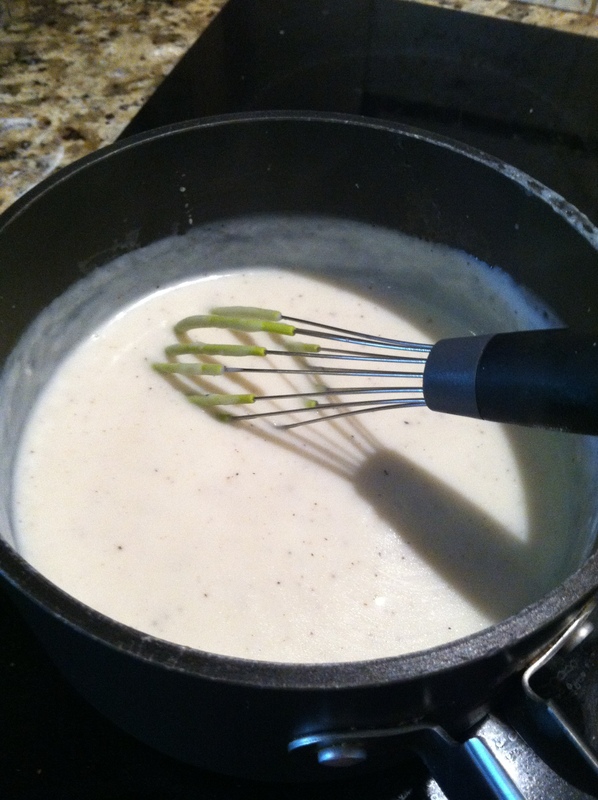 Then slowly stir the cornstarch mixture into the warm milk mixture. Continue to stir and cook over medium heat until bubbly and thickened. Stir in cheeses, dry mustard, and salt and pepper to taste. Remove from heat. In a large bowl, combine the undrained pasta and cheese sauce. Pour mixture into a large buttered baking dish. Sprinkle topping evenly on top. Bake at 400 degrees, uncovered, for about 20 minutes, until golden and bubbly. Serve immediately. Note: This recipe can be assembled ahead of time, covered and refrigerated overnight. Bring to room temperature and remove cover before baking.